Rocking wigs means total hair freedom. You can switch up looks in a matter of minutes. Have you been fantasizing about having a blonde hair but you're not very keen on going through the long hours of harsh bleaching? Save your healthy hair by checking out our gorgeous 613 Blonde Human Hair Wig Collection. Our wigs are 100% made of human hair, they are bouncy and shiny, and carefully crafted to withstand repeated washing and styling. Whatever length you need, our comprehensive collection has the silky soft blonde wig to suit your face shape and style. 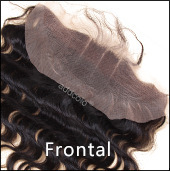 Our wigs come with pre-plucked hairlines, this further enhances the natural look of the wig with plenty of baby hairs. Yeap, it's time to go blonde in just a click.